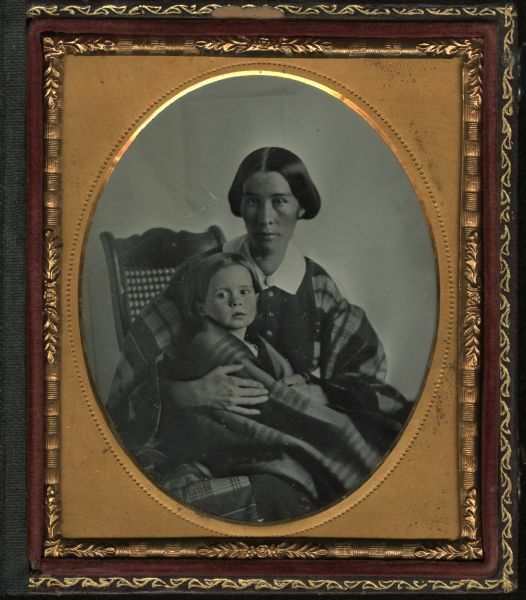 Sixth plate ambrotype portrait of unidentified woman seated on a cane-back chair, holding a child on her lap. The woman has a plaid shawl wrapped around her shoulders, and the child is wrapped in a striped shawl or blanket. Hand-coloring on cheeks.